She gave a naughty smile. Never Give up – Period? Or Comma?? Well, unlike the title says, I don’t have a discussion or an argument to make. I already have a conclusion that it’s definitely a comma and not a period. I strongly believe that ‘never give up’ is not with a full stop. A ‘Never give up’ applies to everything. Wait, that’s not true. There are some things which we sure can give up. It’s always good to give up on something which does not bring any excitement in life. It’s so okay to give on something which does not make any intellect now, which it made earlier. Giving up all those which only holds package of pain is perfectly okay. Never give up, on something which you really want. Give up the method, give up the process, give up on the resources and give up the intermediates which are not supporting and not in the path. May be they all seemed good back then, but if not anymore, give them up! I am not taking about giving up the aim, but suggesting to look out for a better alternative when it’s not working out. Not the hopes, dreams, passion and love. Well, you know how to complete it. Having said that and conveyed my thoughts, peace. Period. 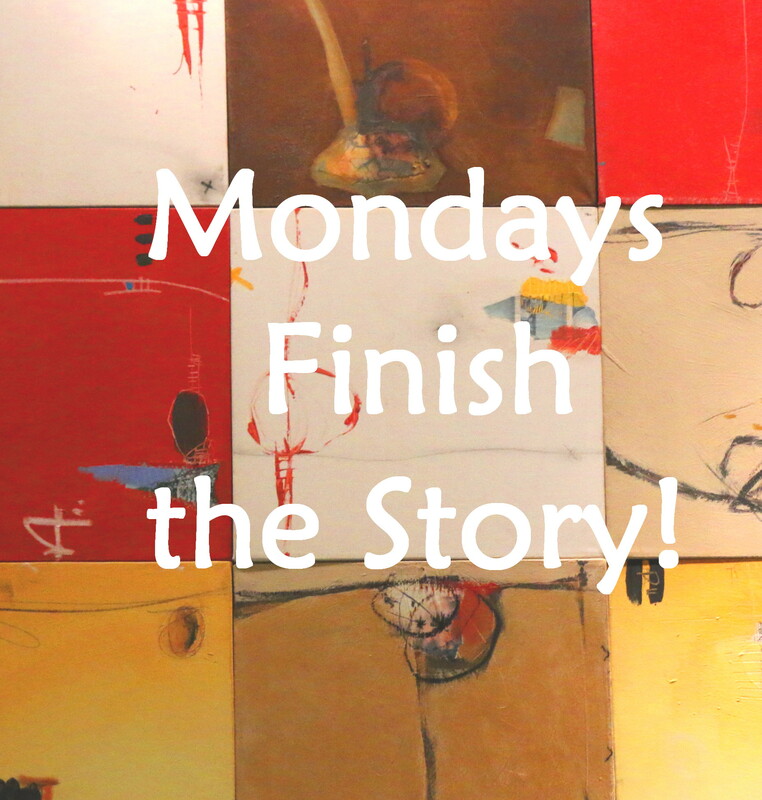 Short story “The Mystery of Maya” is written for the Mondays Finish the Story Challenge – July 20, 2015. 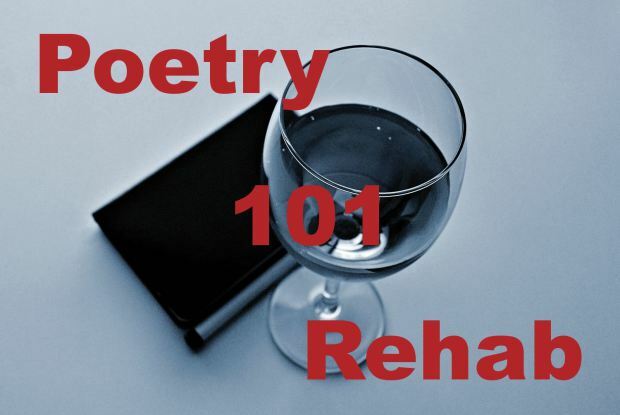 The task is, given the image and starting line, to complete the story in 100 to 150 words. 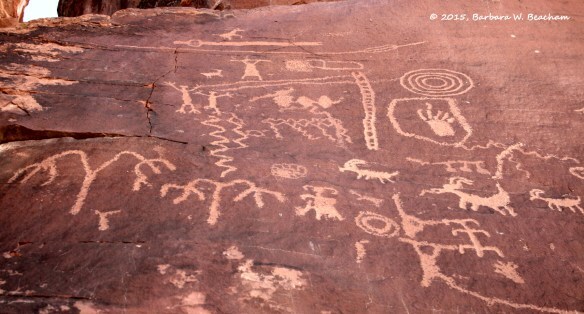 The petroglyphs told the story of an unusual event. All the college friends who had come for weekend trip were deeply looking at petroglyphs and trying to decode what it meant. Just then, Maya hoped ahead and exclaimed, “I somehow feel related to it!”. One of the friends replied, “Yeah, there is a picture of monkey over there”. There were giggles. Little Maya had coined her own symbolic language. It had become traditional and household. She had a very strong belief that she in her next rebirth will come and read the story about herself. How will Maya ever know that she was the one who had written it along with a secret message? The symbolic language was now extinct. Life is such a mystery! Who knows?? The untold story associated with us! 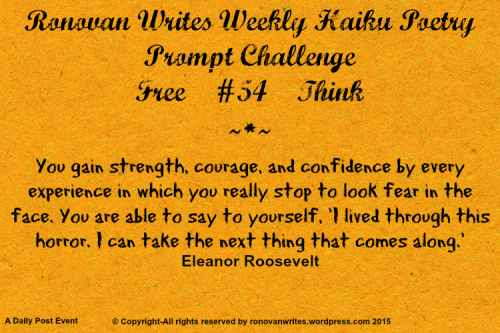 The challenge is to write a haiku on the words – “free and think”. I cherish back the smiles you all have given me here! It’s been such a wonderful journey. Well, yes, there are some numbers and stats that I am sure happy about, but there some things which are beyond measure. The wonderful people I have met here and the awesome posts I have read. It’s such a honor and pleasure! Thank you all friends for being so very supportive! This means a lot. Well, This journey is been so wonderful! 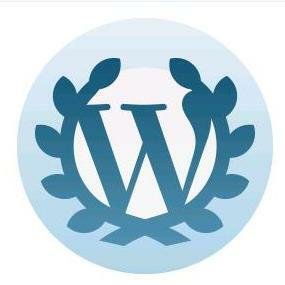 Apart from 138 posts, managed to complete three courses form Blogging U : Blogging 101, Blogging 201 and Writing 201: Poetry. Got my first novel completed with 50 episodes called Today Calls Tomorrow and started a horror sequel to it called The Ghost Who Travelled With Me. Also started a short story series called That’s How I Tell My Story. Got a small portfolio ready on Ageing, Society and We and many Awards nominated by lovely fellow bloggers. Well, One cannot ask for Better and More! Thank you so much everyone for all the support. then came happily the period. Heart isn’t in the hall of fame! A heart does not need a brutal reason to go disheartened. Even just a reason can do it well. A small incident can bring out the tears and later repenting for being so idiotic. In a way, it’s much okay. It is always better to welcome smaller pains now and then following that heart finds a new direction to think for refreshment. Though the consequences and side effects all lead to the disturbances, still it brings a hope of new thinking. If the pain is bigger, then it’s more prone to bigger accidents. The strangest thing is that we fine tune our feelings in such a way that a little hurt from near ones is more suffocating than a hard hit from one we are not closely associated with. We have our neighbors among-st us who have turned out the pain into sparkling achievements and also those who have lost the track only by thinking on minor issues majorly. It’s time to make the most subtle statement that everything depends on our way of taking and thinking. That’s why many times we feel how foolish we were yesterday! 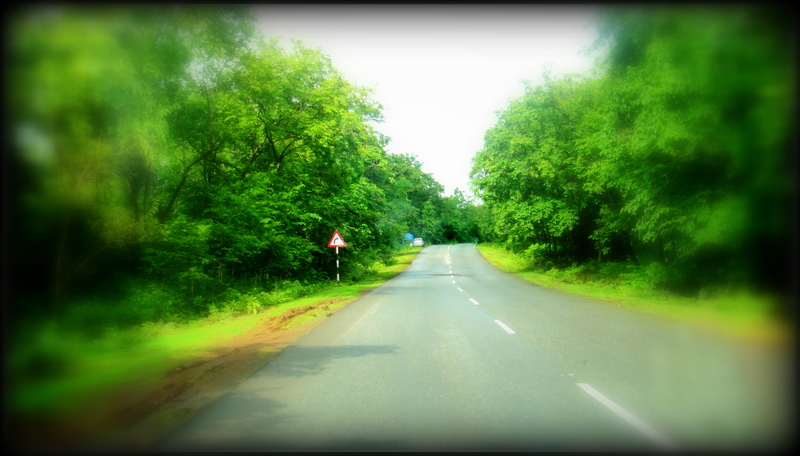 Once I got an opportunity to visit a heart. The pathway was pathetic. There were no doors or windows, but only long high straight walls. Crying posters hanged up on the walls. Hoarding which announce larger punishments even for smaller mistakes. Notices to digest all the pains and suffer in silence. There were thorn bushes so as not to overcome the problems and fears with black marks and holes. I somehow could not take all this facts. I broke down the walls and made larger windows and doors. Cleaned up the patches on the pathway and made them smooth. Rolled up the crying pictures with thorns and threw them away. Captured smiling faces and put them up on the wall. I changed the hoardings with good quotes and positive thoughts instead of crying ones. I finally came out smiling. Then I saw the smile on the face. Who am I? Who was it? Heart is indeed in the hall of fame! How is your heart? Have you ever entered it?